Click here to see recent press coverage and videos on the Kolodzei Foundation and Russian art. The Kolodzei Art Foundation is pleased to lend Komar & Melamid’s The Soul of Norton Dodge. 1978-1979 From the project Corporation for Buying and Selling American Souls to the exhibition KOMAR & MELAMID at MMOMA (Moscow Museum of Modern Art), 25 Petrovka street, Moscow, March 22 — June 9, 2019. Panel discussion - Technology's Impact on the Art Industry Today and Predictions for the Future on on Wednesday, January 23rd, 2019 at 7:00 PM at the National Arts Club, 15 Gramercy Park South, NYC. Why have businesses and organizations in the art world been so hesitant to adopt new technologies? How are new players working to break down that general resistance? How do we see the art world evolving as technology has a bigger impact? The Art Innovators Alliance (AIA) is a newly-founded association of business leaders committed to advancing the art industry through innovation and technology. Hear from AIA founders and other experts on art and technology as they discuss the wide-reaching impact of technology in the art world. Panelists include Bernadine Wieder, CEO Vastari; Andrew Goldstein, Editor-in-Chief, Artnet and Adam Fields, CEO, ARTA and will focus on the significance of increased adoption for the industry's future, bringing efficiencies and wide-reaching changes to the way art businesses operate. Moderated by NAC member, curator, collector, Natalia Kolodzei. Eduard Gorokhovsky: From Siberia to Moscow, Selected Works on Paper from the Kolodzei Art Foundation – opening reception on Wednesday, January 31, 2018, 6-8pm at Harriman Institute Atrium, Columbia University, 420 W 118th Street, NYC, 12th floor. The show runs until March 30, 2018 This exhibition features selected drawings from the 1960s and early 1970s by prominent Russian artist Eduard Gorokhovsky (1929-2004) while he was living and working in Novosibirsk and drawings and artist’s prints from his Moscow period. more information. Personal Spaces – Interactive Multimedia Works by Anna Frants, Carla Gannis, Alexandra Dementieva, Elena Gubanova and Ivan Govorkov. National Arts Club, Gregg Gallery, 15 Gramercy Park South, New York, February 26 - March 24, 2018. Opening Reception February 27, 2018, 6-8pm. Tuesday, January 9, 2018 at 7:00 PM – panel discussion and visual presentation - Collecting, Preserving, Displaying and Lending Digital Media-Based Art at the National Arts Club, 15 Gramercy Park South, New York City. The Kolodzei Art Foundation is lending works to the exhibition Commemorating the Russian Revolution, 1917/2017 at the Zimmerli Art Museum, Rutgers University, 71 Hamilton Street, New Brunswick, New Jersey from October 14 to February 18, 2017. Public program and reception on November 7, 2017. The Kolodzei Art Foundation is lending works to the exhibition Varieties of Nonconformism: Unofficial Art from the Former Soviet Union at Amherst Center for Russian Culture, Amherst, Massachusetts from October 9, 2017 to February 11, 2018. Exhibition “Russian Émigré-Artists in the USA. 1950-2017. Presented by the Kolodzei Art Foundation” in conjunction with the 10th Annual Independent Russian Documentary Film Festival in New York, Downtown Community TV Center, DCTV, 87 Lafayette St., NYC, October 20-22, 2017. Natalia Kolodzei participates in Translations & Dialogues: The Reception of Russian Art Abroad, Collecting Russian Art roundtable (in memory of Norton Dodge) in Venice, Italy October 25 – 27, 2017. Three-day international conference, co-organized by the Centro Studi sulle Arti della Russia (CSAR) at the University Ca' Foscari in Venice, the Society of Historians of East European, Eurasian, and Russian Art and Architecture, Inc. (SHERA) and the Cambridge Courtauld Russian Art Centre (CCRAC). This Leads to Fire: Russian Art from Non-Conformism to Global Capitalism. Selections from the Kolodzei Art Foundation, Neuberger Museum of Art, Purchase College, 735 Anderson Hill Road, Purchase, NY 10577, September 14, 2014 to January 11, 2015. This Leads to Fire features selections from the Kolodzei Art Foundation, one of the most extensive collections of nonconformist and contemporary Russian art in the world. The exhibition will include works ranging from the 1950s through the period of Glasnost and contemporary art. It will be organized into five parts that explore the origins of Nonconformist art, the developments of Moscow Conceptualism, Sots Art, the influence of the Russian avant-garde in geometric abstraction, and the coercive legacy of Socialist Realism. This Leads to Fire will familiarize viewers with an important and underappreciated body of work, but also demonstrate the challenges these artists still pose to both mainstream Russian culture and the globalized art world. The exhibition is curated by Sarah Warren, Assistant Professor of Art History at Purchase College, the State University of New York. Conversation: Collecting Art in Russia, Tuesday, November 18, 11 am Join Natalia Kolodzei in a conversation about collecting art in Russia. Finding Freedom in Russian Art, 1961-2014. Selections from the Kolodzei Art Foundation and the Collection of Dr. Wayne F. Yakes. Paul and Lulu Hilliard University Art Museum, University of Louisiana at Lafayette, 710 East St. Mary Boulevard, Lafayette, LA 70503, August 30 to December 6, 2014. Opening reception Friday, September 19, 2014. The works in this exhibition will highlight the evolution of non-conformist and independent art in Russian from a time of rigid censorship to the new Russia. The works, spanning 1961 to 2014, reflect the major wave of Russian alternative culture and describe the history of non-conformist art processes and movements. The exhibition will also highlight the rich diversity of art that emerged and survived during the past forty years of the then Soviet Union and contemporary Russia. The Kolodzei Art Foundation is lending paintings by Oleg Vassiliev to the exhibition Oleg Vassiliev: Space and Light at Jane Voorhees Zimmerli Art Museum, 71 Hamilton Street, New Brunswick, NJ 08901, September 02, 2014 to December 31, 2014. The Kolodzei Art Foundation is lending works by Yuri Sobolev to the exhibition Isles of Yuri Sobolev at Moscow Museum of Modern Art, Ermolayevsky lane 17, Moscow, September 15, 2014 to November 9, 2014. Concerning the Spiritual in Russian Art, 1965-2011. Selections from the Kolodzei Art Foundation. The Museum of Russian Art, Minneapolis, Minnesota, January 26, 2013 - June 9, 2013. Opening reception on Saturday, January 26, 2013 from 5pm to 7:30pm. RSVP kolodzei@kolodzeiart.org. For more information click here for the press-release or visit TMORA Website. The exhibition examines the intersections of artistic and religious consciousness that explore spiritual expression in the Soviet Union and Russia. this exhibition confronts the historical collisions of the sacred and secular, the conflict of government censorship and freedom of expression under the Communist regime. Art of Oleg Vassiliev: Discovering 20th Century Russian Masters. The Museum of Russian Art, Minneapolis, Minnesota, August 14, 2011 - February 2012. For more information visit TMORA website. The Kolodzei Art Foundation lent art works to the exhibition Authorized for Export from the USSR… at Cultural Foundation "Ekaterina", Moscow. The show on view from June 22 until October 2, 2011. The Kolodzei Art Foundation is lending artworks to the exhibition Hostages of Voids at the Tretyakov Gallery (Moscow) in conjunction with 4th Moscow Biennale. The show is on view from September 24 to November 13, 2011. Concerning the Spiritual Tradition in Russian Art. Selections from the Kolodzei Art Foundation Collection of Russian and Eastern European Art. Curated by Natalia Kolodzei. Opening Reception on Thursday, April 14, 2011 from 6 to 8 pm at Chelsea Art Museum Home of Miotte Foundation 556 West 22nd Street (@ 11th AVE) New York City Museum hours: Tue - Sat 11am - 6pm Thursdays 11am - 8pm. On Saturdays, April 30, May 7, May 28, June 4, and June 11 at 4 pm gallery talks will be led by exhibition curator Natalia Kolodzei. Ms. Kolodzei, Executive Director of the Kolodzei Art Foundation and co-owner of the Kolodzei Collection, will discuss the artworks in this exhibition, as well as the history of Non-Conformist and contemporary Russian art from the time her mother, Tatiana Kolodzei, started their Collection in Moscow through today. Tours free with Museum admission. The reception is on Thursday, May 5, 6 to 9pm. On Thursday, June 2 from 6-8pm New Review Poetry Evening and Reception (click here for more info). On Thursday, June 9 from 6-8pm SLOVOSFERA - the literary, musical and visual evening with Gennady Katsov (text) and Julian Milkis (clarinet). The exhibition continues through June 18, 2011. Click here for the press-release or visit www.chelseaartmuseum.org. The Kolodzei Art Foundation presents: Dawn of Manned Space Exploration, Photographed by Leonid Lazarev at Russia World Forum, March 29-30, U.S. Senate, Washington DC and Russian Cultural Centre, Washington DC. The exhibition at Russian Cultural Centre continues through June 20, 2011. The Kolodzei Art Foundation lent fifteen works on paper to the exhibition No Exit Art: Works on Paper by Nonconformist Artists from the 1950s through the End of Soviet Era to the Museum of Russian Art, 80 Grand St., Jersey City, NJ 07302. The show runs from November 13, 2010 to January 14, 2011. The Kennan Institute and the Kolodzei Art Foundation present Moscow Grafika: Artists’ Prints 1961 – 2009. Selections from the Kolodzei Collection of Russian and Eastern European Art. The exhibit will be on view from March 12 to July 20, 2010 at the Woodrow Wilson Center, located at: 1300 Pennsylvania Ave., NW, Washington, DC 20004. There will be an opening reception on Friday, March 12, 2010 from 4 to 6PM. Moscow Grafika includes works in various mediums of printmaking, including linocut, etching, screenprint, monotype and lithography. Dating from 1961 through the present, the works represent trends in historic non-conformist art as well as traditional and digital mediums in printmaking by artists who worked or working in Moscow. Several generations of non-conformist and independent artists are represented in the exhibition, they include those who began their careers during Khrushchev’s "thaw" of the 1960’s and 1970’s who took part in the first unofficial exhibitions; artists who began working in the perestroika (late 1980's) and the post-perestroika periods; as well as artists who entered the scene more recently during the post-Soviet years. more. Kolodzei Art Foundation, and Barbarian Art Gallery by Natasha Akhmerova, in collaboration with Phenomena Project are pleased to present Valery Yershov: Lost Wanderings at White Box, 329 Broome Street, New York, New York. The exhibition will run from February 26 to March 11, 2010. Opening reception: Friday, March 5, 6:30 – 11 pm. From Non-Conformism to Feminisms: Russian Women Artists from the Kolodzei Art Foundation. Chelsea Art Museum - Home of the Miotte Foundation, 556 West 22nd Street, New York, NY 10011, November 13, 2008 – February 7, 2009. Opening Reception Tuesday, December 9, 2008, from 6:00 pm to 9:00 pm. On Saturdays, January 24, 31, and February 7 at 3 pm, Gallery talks will be led by exhibition curator Natalia Kolodzei. Ms. Kolodzei, Executive Director of the Kolodzei Art Foundation and co-owner of the Kolodzei Collection (containing over 7,000 pieces by over 300 artists from Russia and the former Soviet Union), will discuss the artworks in this exhibition, as well as the history of Russian women artists, Non-Conformist and contemporary Russian art from the time her mother, Tatiana Kolodzei, started their Collection in Moscow (during the 1960’s, at the height of the Cold War) through today. Tours free with Museum admission. Moscow - New York = Parallel Play. From the Kolodzei Art Foundation Collection of Russian and Eastern European Art. National Center for Contemporary Art (NCCA), Zoologicheskaya 13, Moscow, from October 16 to November 11, 2007. Opening reception on October 15, 2007 at 5:00 PM. Olga Bulgakova and Alexander Sitnikov. Paintings. Objects. State Tretyakov Gallery, Krymsky val 10, Moscow, November 2 - 25, 2007. Opening reception on November 1 at 4 PM. Modern and Contemporary - Russian Art Week in London– Public Lecture: Natalia Kolodzei, the Executive Director of the Kolodzei Art Foundation, New Jersey, and owner of the Kolodzei Collection of Russian and Eastern European Art, spoke on Trends in Russian Art following Perestroika on Tuesday, February 13, 2007 at Sotheby’s, 34–35 New Bond Street, London. Vadim Voinov. The State Hermitage under a Full Moon. General Staff Building, the State Hermitage Museum, St. Petersburg. October 25, 2005 - April 24, 2006. Works on Paper: Soviet and Russian Art 1955-2005 from the Kolodzei Collection of Russian and Eastern European Art. Brooklyn College of the City University of New York, 2900 Bedford Avenue, Brooklyn, New York. January 18 - March 31, 2006. Historic MADI: Its Roots. Artists from Russia through Uruguay to Argentina in 20th Century. MADI Museum, 3109 Carlisle Street, Dallas, Texas. February 17, 2006 - June 18, 2007. Moscow Grafika: Artists' Prints 1961 – 2005. Selections from the Kolodzei Collection of Russian and Eastern European Art. International Print Center New York, 526 West 26th Street, Room 824. September 13- October 22, 2005. The exhibition is also presented during Russian Nights Festival in Los Angeles. Perestroika + 20: Selections from the Kolodzei Collection of Russian and Eastern European Art. Harriman Institute, Columbia University, 420 West 118 Street, 12th floor, New York. September 28 - January 2006. Young American Artists of Today. Festival of American Contemporary Culture American Autumn in Moscow. Central House of Artists, Krymsky Val, 10. November 4 - 27, 2005. Bergen Museum of Art and Science, Paramus, New Jersey. February 9, 2006 - March 11, 2006. Finding Freedom: Forty Years of Soviet and Russian Art. Bergen Museum of Art and Science (Paramus, NJ); Leepa-Rattner Museum of Art (Tarpon Springs, Florida). Dmitri Plavinsky—A Retrospective: Paintings, Works on Paper and Installations. State Tretyakov Gallery (Moscow). Oleg Vassiliev: Memory Speaks (Themes and Variations). General Editor: Natalia Kolodzei, with essays by Amei Wallach, Andrew Solomon, Natalia Kolodzei, Ilya Kabakov, Eric Bulatov, Victor and Margarita Tupitsyn, and Oleg Vassiliev. 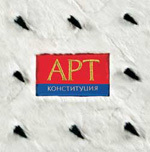 Published by Palace Editions, the State Russian Museum and the Kolodzei Art Foundation, in collaboration with the State Tretyakov Gallery. 182 pp, 156 color plates, 13 color and 14 b/w documentary photographs. (Russian edition also available). ISBN: 0-9754829-2-0. To buy the book contact kolodzei@kolodzeiart.org or visit amazon.com.